Dr Simon Best joined Middlesex University in 2010 following a number of career changes. Simon's first career was 15 years as a chef; this was followed by two years as a Market Researcher and then 28 years as self-employed business owner. 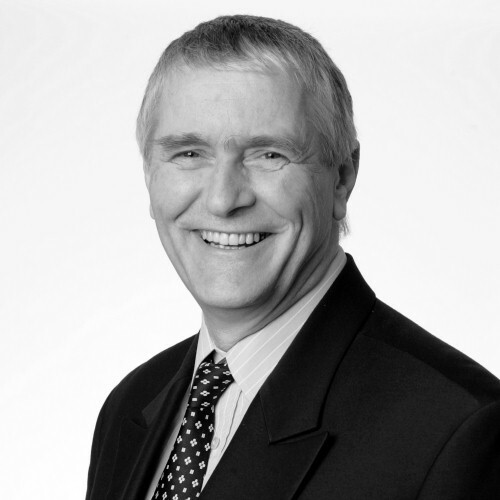 During his time as a business owner Simon started businesses in Australia, Papua New Guinea, India and Viet Nam. Simon has extensive networks across a number of countries. Currently Simon leads the Enterprise development hub – EDH@MDX as well as lecturing in Entrepreneurship and small business development. Simon is a Teaching Fellow, and teaching and learning interests are widely set around how people learn. He is particularly interested in disruptive learning and the use of dysfunctional groups to enhance learning. Simon's research interests are relatively broad but centre around entrepreneurship and enterprising behaviour. He is developing a number of research papers drawing on the data collect through the Enterprise Development Hub at Middlesex University (EDH@MDX). APInno, an Erasmus Plus funded project to research and develop a module on Innovation for students from a non-business background. The value of rewarding badges for achievement in non-assessed learning in the classroom. Best, Simon (2017) The impact of social capital and cultural knowledge on setting-up and operating a transnational business in Australia. In: ISBE 2017: 40th Institute for Small Business and Entrepreneurship Conference, 08-09 Nov 2017, Belfast, Northern Ireland. Best, Simon (2016) The future of work and why we all need to be innovative. In: APInno Innovation Creating the Future! Conference, 21-22 Nov 2016, Sofia, Bulgaria. Galeziowska, Ewa and Best, Simon (2016) Students preferences for experiential learning of innovation: a presentation of the research results of the APInno Project. In: APInno Innovation Creating the Future! Conference, 21-22 Nov 2016, Sofia, Bulgaria. Best, Simon and Ribeiro, Mike and Alahmadi, Abrar (2016) Defragmenting the terms self-employed, entrepreneur and business owner. In: ISBE 2016: 39th Institute for Small Business and Entrepreneurship Conference, 27-28 Oct 2016, Paris, France. Simon has a number of funding bids for research activities. Currently he is working with a consortium of 6 organisations to develop a module on innovation. This is funded by Erasmus Plus. In 2011 Simon set up EDH@MDX, a university wide support service that helps staff and student develop businesses ideas. Over 1200 students have engaged with EDH@MDX and from that a number of successful self-employed and small businesses have emerged.